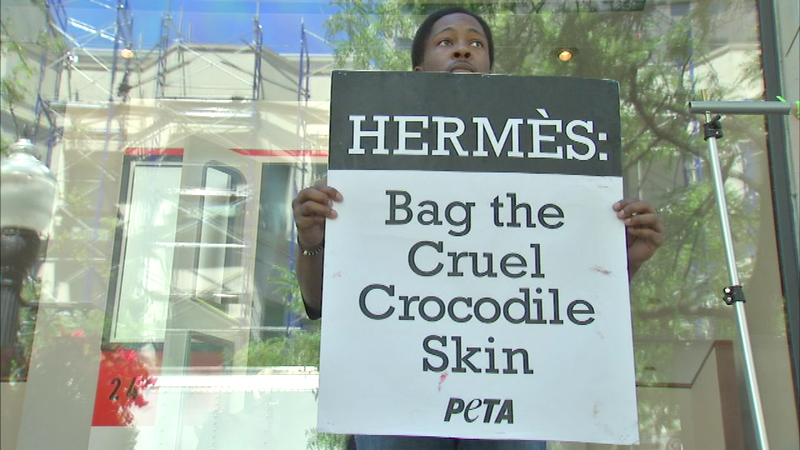 PETA protests outside Hermes in Chicago. CHICAGO (WLS) -- A protester dressed like a crocodile greeted shoppers at the Hermes store in Chicago's Gold Coast. The animal-rights group PETA staged the protest at 110 E. Oak St.
PETA claims the Paris-based company sells goods made from abused crocodiles and alligators. In a written statement, Hermes said it conducts rigorous auditing with all suppliers and any breach of its high standards will be rectified and sanctioned.